The professional competence which would allow the birth of Tipografia Nardin, began with brothers Italo and Mauro being introduced to the job respectively in 1963 and 1965, at the Armenian printing studio on the island of San Lazzaro facing Lido in the Venetian lagoon. At the age of 16 they both began commuting from Punta Sabbioni to their workplace, passing by Venice and a few years later, travelling via Lido, reaching the island at a time when ferries leaving from Punta Sabbioni at dawn were not so crowded. At the Armenian printing studio, that employed about 20 people, Mauro and Italo began to learn that handmade procedure, which allowed them to get to know all the secrets of the art of printing invented by Johannes Gutenberg 550 years ago. First of all you had to take care of the storage area, then of the expeditions, at the end you had to fold and bind paper, this way you would learn all the secrets of the job. The step following the bookbinding was getting accustomed to the printing machines and their manual or mechanical composition (linotype). 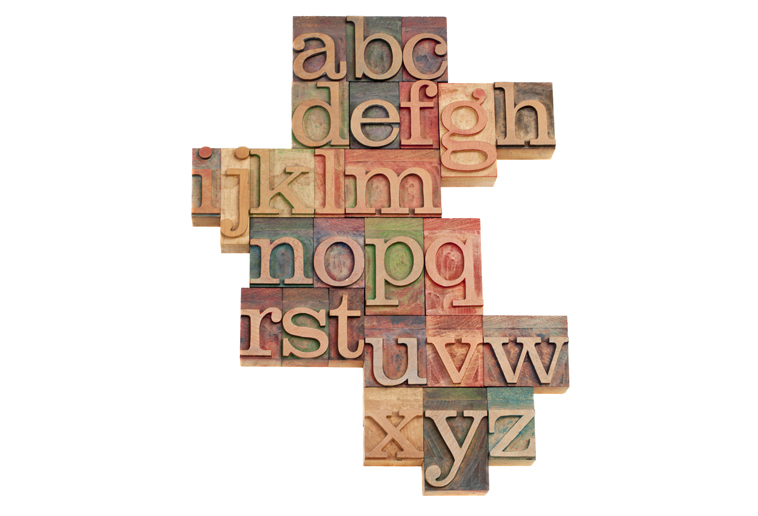 It was there that the “elite” job of the art of printing was carried out, there the “proto” was formed, from which the composition and the plates for the sheetfed printing machine originated. At that time the “learning on the job” method was very important. The development of know-how of this trade originated from simple to complex knowledge. There followed the promotion to higher levels after having achieved the fundamental basics. Added to this were the artistic and cultural value of the main output of the printing industry: the book. And this thanks to the kind of product which came out of the Armenian printing studio, which was perfect and with a very valuable content. In 1966 with a capital of 50.000 lire found in the family, Italo and Mauro began their own business in a building in via Palmanova 12, already via Mare, in Cà Savio where there was a pedal printing machine, which printed with a maximum format of 25x35 cm, up to 1000 copies per hour black and white or bicoloured, the last ones obtained by passing the sheets in the machine twice. To complete it, there was a desk with lead characters and a manual cutter. 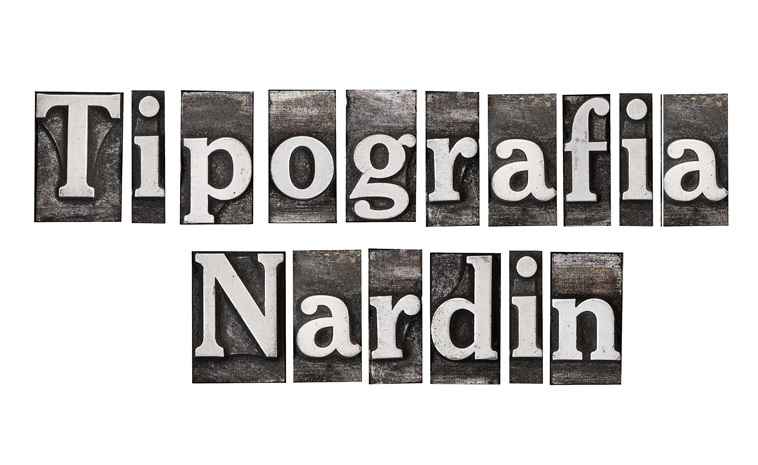 In 1968 “Tipografia Nardin” was founded. The production of that time consisted mostly of business cards, various types of announcements and leaflets. In 1969 Tipografia Nardin moved to via Fausta 140 in a 40 mq building: the range of the products widened thanks to the introduction of a hand stapling machine for 50x70 billboards with wood characters. 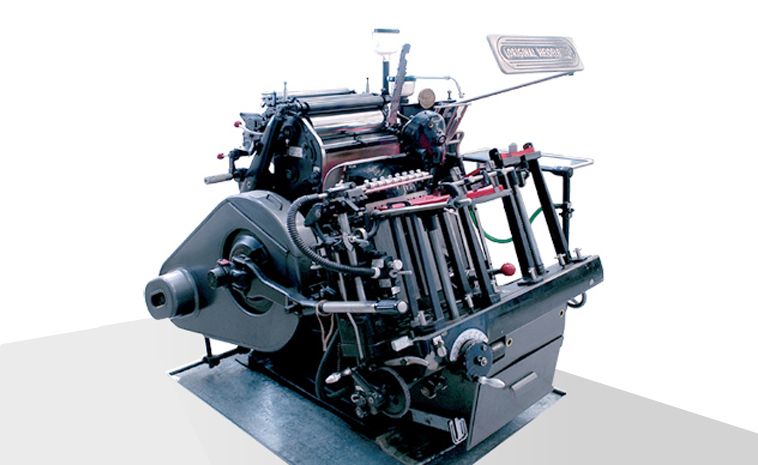 In 1970 a great step forward was made with the introduction of a German printing machine, Heidelberg Stella which could work automatically and could print products very different from each other such as envelopes, block notes, letter paper. At the same time the first collaborators began to be employed and the first postcards with images of the littoral tourist places were printed. 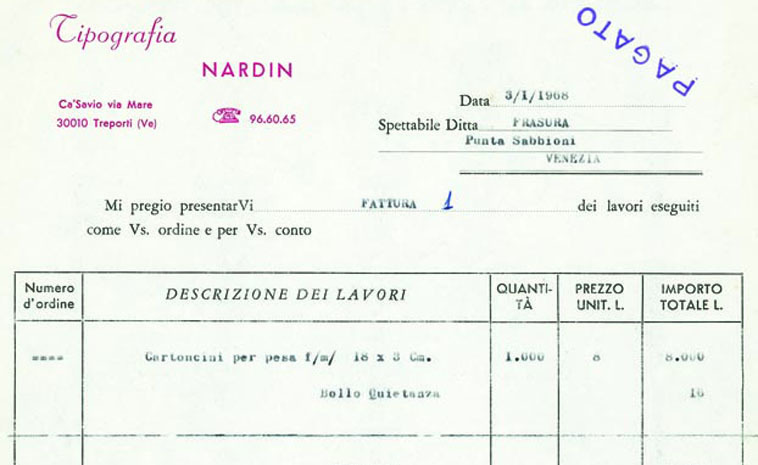 Due to the growth of the firm, in 1975 Tipografia Nardin moved in Via Treportina 13, already Via Bevazzana. Unicolor “Linotype” and “Offset” machines were installed and new staff was employed in order to face a wider number of clients. There was an increase of clients that came from outside of the territory as well. Moreover in 1988 a productive branch opened in Treporti, in via Ugolino Vivaldi 1 and there, they installed a bi-color offset printing machine. It was a decade full of professional satisfaction and job fulfillment that also had to adapt with the inconvenience of working in two different locations and the consequent transfer of plates from the head office in Cà Savio to the Treporti branch. The move to the present location in the industrial area (P.I.P.) of Cà Savio took place in September 1998; here all the staff and the machines of the two old locations merged. At this point, graphic design was developed and the machines were renewed starting with the automatic paper cutter as one of the first. In 1999 the name of the firm changed to “Grafiche Nardin”. The founders’ sons Marco and Rossano had been working for the firm for a few years at that time. In a short time the whole productive process was renewed, at first with the introduction of a fully automated five-colour printing machine 70x100, and more recently – thanks to the use of computers – with the introduction of the “computer to plate” system already in the preprint phase, that is the direct preparation of the plate without utilizing any film. “We got a lot of professional satisfaction”, remember Italo and Mauro, “ and most of it referred to the quality of the product: from acknowledging that a good brochure has a key role in attracting clients in the tourist field, to billboards which have become souvenirs also in different places far from Cà Savio. It must also be mentioned the fact that Grafiche Nardin has printed precious art books, for example the catalogue for the exhibition of the painter Giovanni Boldini and the celebration publications on occasion of the reconstruction of the two temples of classical music: the Fenice Opera House in Venice and the Scala Opera House in Milan edited by Marsilio Editori. If the quality certification in the working process is by now something already acknowledged, our future goal is being able to create objective standards for the planning of procedures which can give our clients evaluation parameters to appreciate the quality of our products. Quality which has been and is the main feature of a firm nationally and internationally renowned.